Longt time illusionists and part-time revolutionaries, Penn & Teller have taken the world of stage magic to new and exciting places. Now they get the chance to put their unique spin on a Universal Orlando Halloween Horror nights haunted house. Before this years scare-athon officially opens on Sept. 21, they have given us a behind-the-scenes look at the all-new, 3D haunted house, “Penn & Teller’s New(kd) Las Vegas.” Warning do not watch this on an empty stomach (or a full one for that matter). 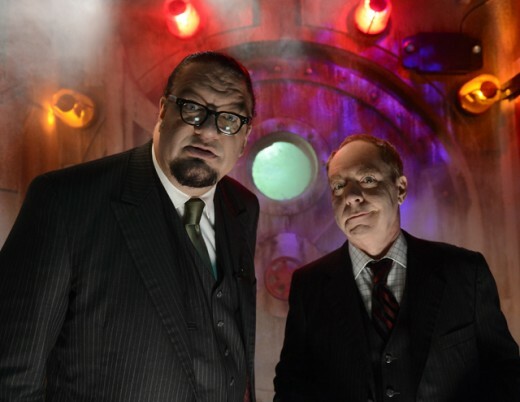 In this video, Penn & Teller personally give viewers a first look at their dark, dilapidated and radioactive version of “Sin City.” Conceptualized by the bad boys of magic themselves, the house features the best of Vegas – showgirls, slot machines, the little white wedding chapel, an all-you-can-eat buffet, and more – all glowing with a toxic green hue. This haunted house is one of the terrifying experiences guests can enjoy at Halloween Horror Nights 22, which was just named the nation’s best Halloween event for the fifth consecutive year. Congratulations to everyone involved!